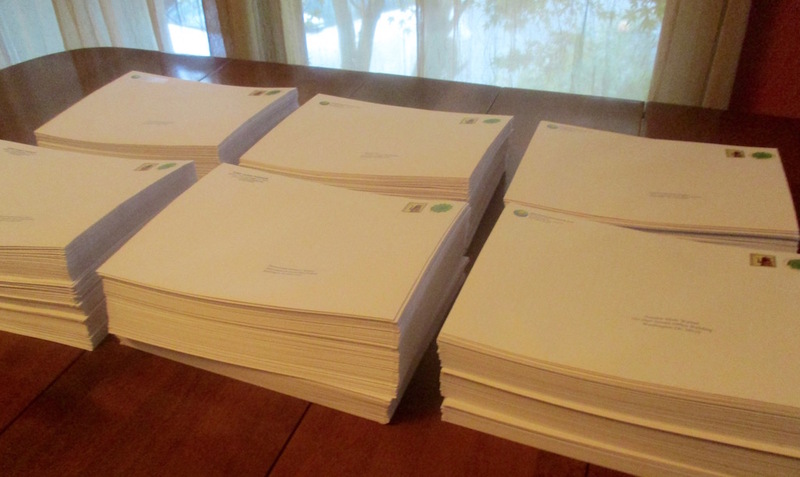 Yesterday we mailed 541 joint letters to Congress members. The letter is signed by dozens of health, environment and justice advocates and organizations asking them to oppose the many federal bills related to 5G and wireless radiation expansion. It is packed with peer-reviewed science references and solid reasons to oppose. Please contact your own US Senators and Representative to let them know you support the letter. This is really important because they place more value on hearing from their constituents. It is easy to contact them via their websites. Below is a sample email, which you can edit, copy and paste into their website contact page. If you’d prefer you can mail, or fax them the letter. I support this joint letter to Congress requesting you oppose the many pending federal bills related to the expansion of electromagnetic radio frequency radiation (wireless radiation or RFR) and 5G millimeter wave technology including but not limited to: S.1988 SPEED Act, S.19 Mobile Now Act, S.1682 Airwaves Act, S-88 DIGIT Act, H.Res.521, and S.Res.242. Peer-reviewed published science shows wireless radiation harms public health and nature. Health effects include: fatigue, headaches, sleep problems, anxiety, ringing in the ears, heart problems, learning and memory disorders, increased cancer risk, and more. Children, the ill, and the elderly are more vulnerable. International independent scientists are calling for biologically-based public exposure standards and reducing wireless radiation. Communications are safer using wired and corded connections. It is in the best public and environmental interest to avoid unnecessary wireless radiation exposures. Please oppose any and all bills related to 5G and wireless radiation expansion. Thanks for posting this information…… I will be supporting this important letter for holding Congress accountable for protecting our population from 5G & Radiation by sharing this link with family friends luv ones and also people of the public…… Our Health and Future of all of humanity and our children matter……. I am Absolutely an supporter of the urgency emergency of this cause……. Pingback: Stop5G.net | Related Stop5G Activism: Los Angeles Firefighters Stops 86 Cell Towers! Pingback: Stop5G.net | How to #Stop5G Small Cell Towers Being Installed in Residential Yards Throughout Your Community! As a occupational safety professional, I understand the science behind frequencies and non-ionizing radiation. The emissions of the mini towers would be far more impacting on all living organisms. The research is out in the public domain look for yourself. You, your children, pollinating animals can and will be effected. supporting have emailed congress and senators. Thank you I also oppose 5G! I oppose 5G towers across the USA!!! I know all too well what these things can do I became severely electrically sensitive about eight years ago to the point twire I lived 4 years without any electricity, Wi-Fi, cell phones, etc etc. Even though now by the grace of God I can being electricity, drive my car, be on my cell phone but do not leave it on at all times, I have discovered since April 2018 when Smart Meters were put in our neighborhood, which I opted out, did I am severely sensitive to them also and now all over my city the small antennas are up. I feel like I need to get my story out there but I really don’t know to whom and how it should be done. See if Kelly: ironk5@gmail.com is still active against EMF in MO.